As a website owner, you quickly learn about the importance of search engines and where you are sitting in them. At first it does feel merely impossible to get traffic to your website and does become a massive frustration. Anyone who owns a website knows how difficult it is to get traffic. There are multiple ways to get traffic to a website thankfully. The most effective way to get a serious amount of traffic is to have ads. Unfortunately, advertising is expensive and does not always get the results that a business owner desires. In reality, the best way to get website visitors is via organic search, also known as keyword searches in the Internet slang world. Organic search results are the results that show up when a user searches via a search engine. It is not easy to get to the top of Google and other search engines, but with a little work, it can be done. There are two ways you can increase your chances at getting a top Google ranking placement. When building a site, it is crucial to take content seriously. Not only should one take content building seriously, they should also know how to write their content with SEO in mind. Keyword density is one of the most vital things one has to take into account. The keyword density is the percentage of a certain keyword in a web page or blog post. When targeting a keyword, a business owner should try to stay under two percent density. If the density is too high, Google will devalue the results as it will mark the site as spam. If the keyword density is too low, the keywords may not be noticed by the search engines at all. A site owner should also make sure to use LSI keywords, which are keywords that are similar to the ones that they are targeting. Next, a user needs to use meta tags efficiently. 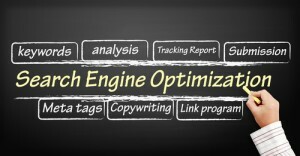 In the past, search engines placed a large emphasis on meta tags, now; it is not as powerful. Nonetheless, it is necessary to use meta tags efficiently. This includes putting a solid meta description as well as a good title tag. Both of these will not only tell the search engines what your site is about; they will also help users understand your site. 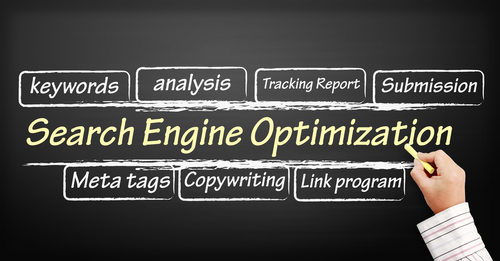 When used correctly, a site will see a boost in their SEO results. Not only that, visitors will know what the site is all about. A highly ranked website will make a lot more money than its counterparts. Remember, anyone who takes SEO seriously should see massive uptick in their traffic. A webmaster who can get their business to appear high in the Google rankings is well on his or her way to owning a highly profitable website.